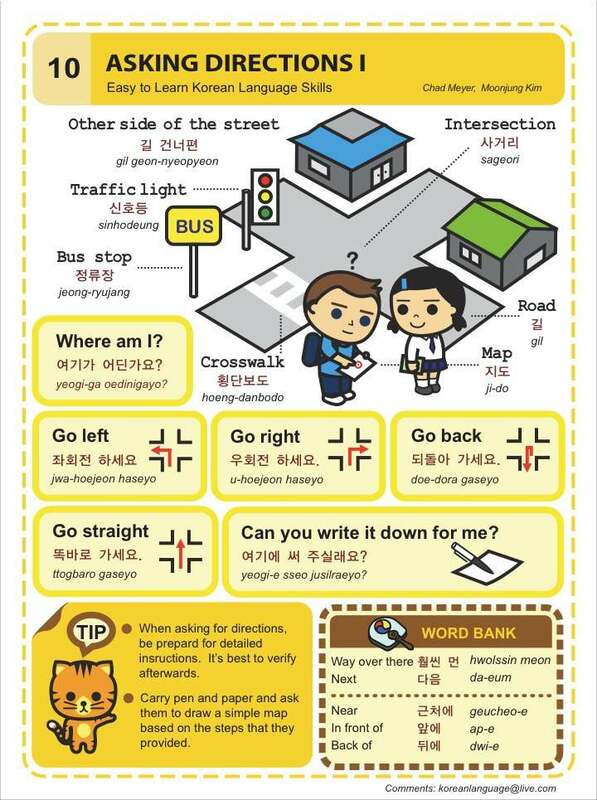 Easy to Learn Korean 938 – Lost and Asking for Directions (Part Three). Continued from #10 and #11. This entry was posted in Series and tagged Asking directions, directions, excuse me, going, I'm lost, Korean Tourism Organization, KTO, located, lost, nearest subway station, please help me, post office, Seoul Information Hotline, 길을 잃었는데 좀 도와주시겠어요?, 방향, 실례지만, 어디를 가세요?, 우체국이 어디에 있는지 아세요?, 위치, 저는 가장 가까운 지하철역을 찾고 있어요. by easykorean. Bookmark the permalink.